Everyone’s favorite classic baked potato! 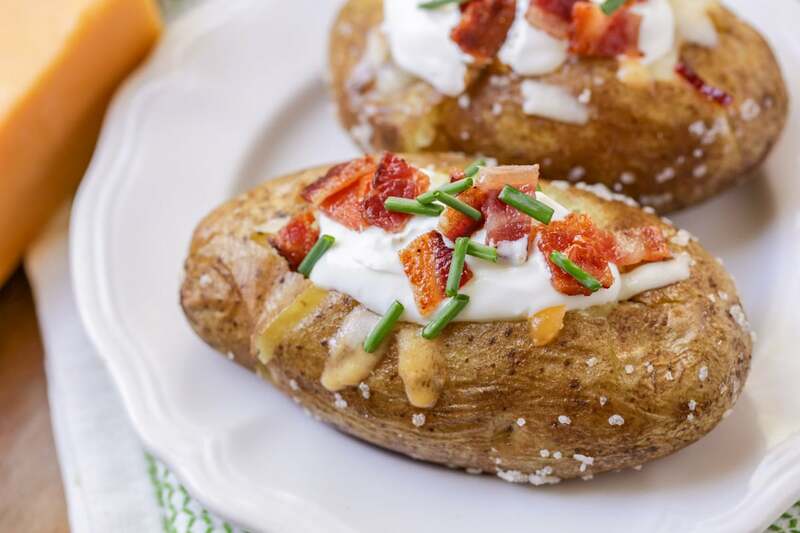 With crispy, seasoned skin, a tender inside, and all the best toppings – baked potatoes are a reliable dinner choice, and great for feeding a crowd! Who doesn’t LOVE a baked potato? 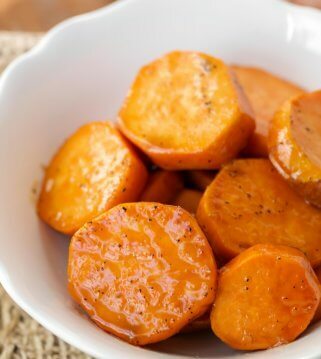 It’s one of our favorite side dishes and a recipe we often make for our main meal too! When it’s cooked to tender perfection, and loaded up with all kinds of yummy toppings, there’s nothing better. I’m pretty sure bacon bits and sour cream were made just for the sake of loaded baked potatoes (match made in heaven, am I right??). 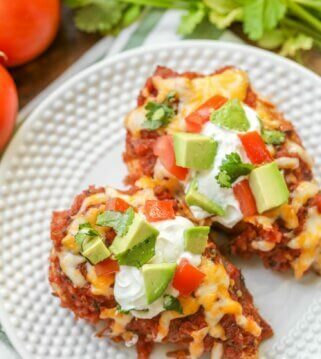 It’s one of my go-to meals to feed my family or a crowd, because it’s so easy to cook, and it has a taste you can rely on. 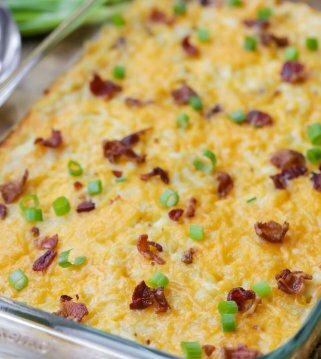 In fact, potato “bars” are one of the best ways to feed baked potatoes to a crowd. Bake a bunch of steamy potatoes, season them, and lay them out with everyone’s favorite toppings! Each person takes a turn going down the line and topping their potato with all the fix-ins. 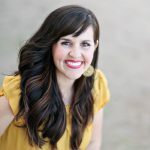 Easiest dinner ever, and almost no work for you! Get your potatoes ready by washing them thoroughly with a stiff brush and cold running water. 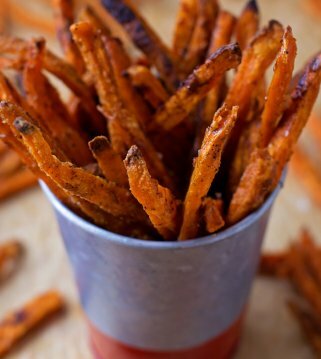 After drying them, use a fork to poke 8-12 deep holes all over the surface of the potato. This helps the moisture escape during cooking. Place your potato in a bowl and lightly coat with oil, and salt (For even more flavor on the skins, you can use the same steps found in our Parmesan Potato Skins). Put your potato in the oven directly on the rack in the middle. Cook for 1 hour at 350 degrees. The skin should be crisp but the flesh should feel soft. Let the potato cool a bit until you can handle it. Create a dotted line from end to end with your fork, then crack the potato open by squeezing the ends towards each other. Watch out for the steam when it pops right open! Add all the toppings you want and enjoy!! What kind of potatoes are best for baked potatoes? You should definitely know your potato before cooking baked potatoes. The best potatoes are ones that are all purpose – good for mashing, baking, and roasting. For baked potatoes, use Russet, Yukon Gold, blue, or purple potatoes. Make sure to season the outside of your potatoes before baking them! I always use olive oil, pepper, and kosher salt. Is it better to cook potatoes in foil? 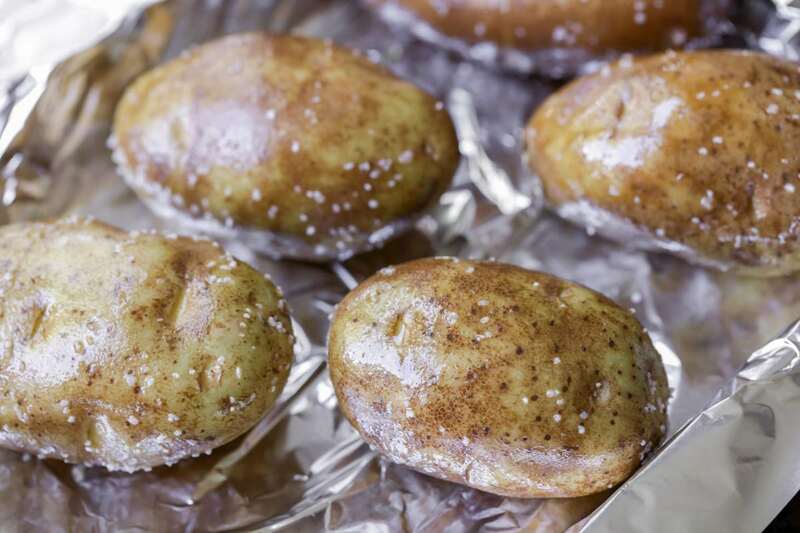 Wrapping potatoes in foil will give you a soft skin, but we prefer covering it in oil and salt to make it nice and crispy. Putting a potato straight in the oven without anything covering the skin will make it dry and papery. 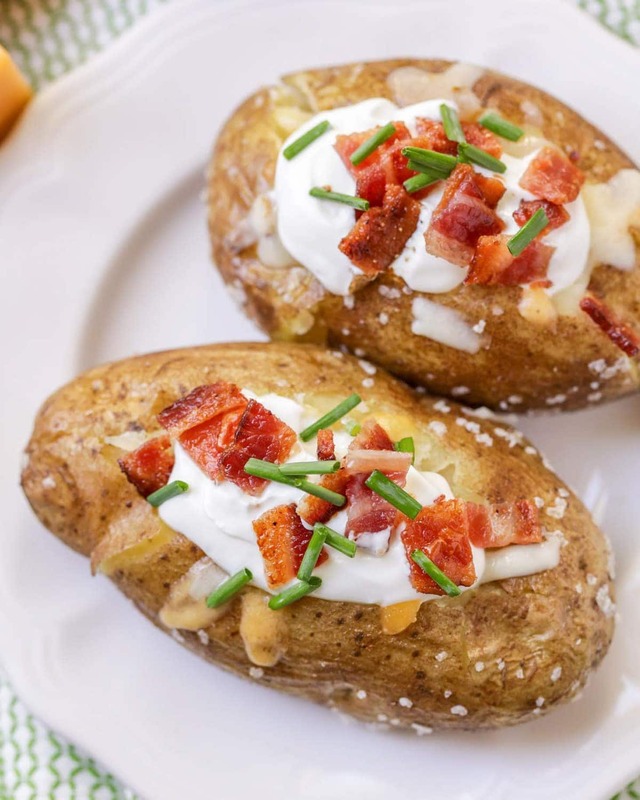 All the different toppings and variations are why baked potatoes are so popular. 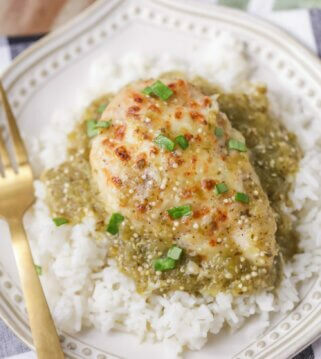 They are so easy to customize and change up, making them a great go-to dinner recipe. 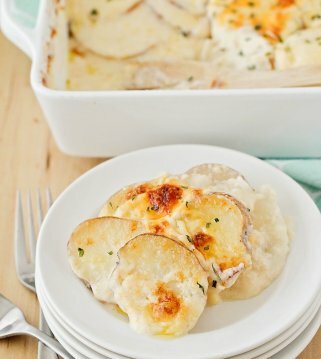 How to Store/Reheat Baked Potatoes? 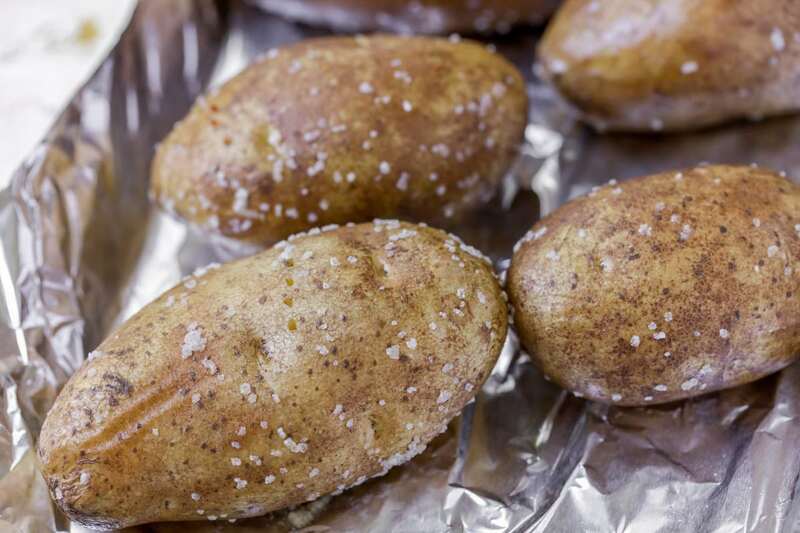 We like to place any leftover baked potatoes in an air-tight container or re-wrap in foil and store in the fridge for 3-5 days. 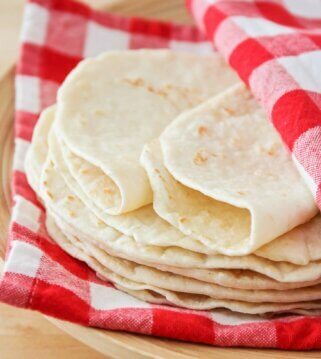 You can reheat them in the microwave or by throwing them back in the oven until heated through. 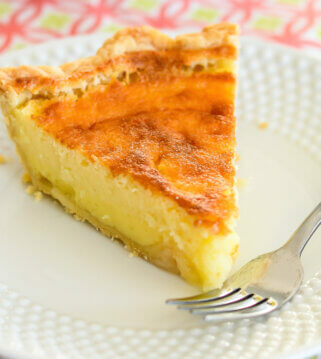 We hope you love this recipe as much as we do! 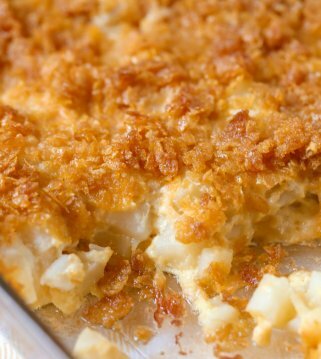 It’s a classic and perfect if you want to feed a ton of people. Just put together a baked potato bar with all the toppings and even with some meat. Everyone loves it! 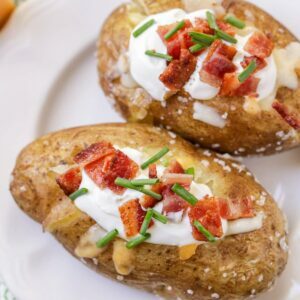 With crispy, seasoned skin, a tender inside, and all the best toppings - baked potatoes are a reliable dinner choice, and great for feeding a crowd! Wash your potatoes with a stiff brush and cold water. Once they are dry, use a fork to poke 8-12 deep holes all over the surface of the potato to let the moisture escape during cooking. Place your potatoes in a bowl and lightly coat with oil, and salt. Then, place your potato in the oven directly on the middle rack. Cook for 1 hour until the skin is crisp and the flesh feels soft. Let the potato cool a bit until you can handle it. Create a dotted line from end to end with your fork, then crack the potato open by squeezing the ends towards each other. Watch out for the steam when it pops right open! 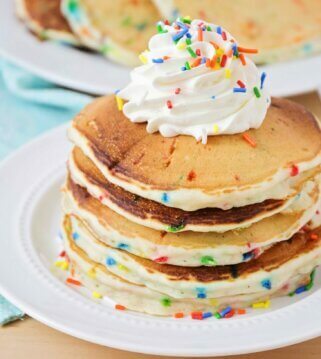 Add all the toppings you want, and ENJOY!! DANG!! 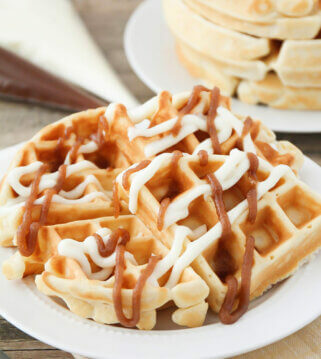 So easy and insanely yummy!